This double gate was part of an upgrading of previous gates and pergolas in a large Victorian House and garden in Fulwood, Preston. 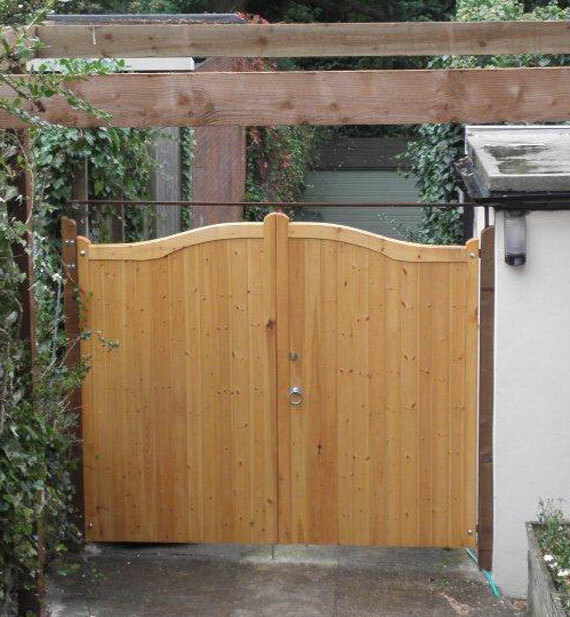 The wooden gate pictured was built to improve privacy and security. There is an exterior lock fitted with a sliding latch and keys. The redwood used in the construction was vacuum treated to protect it against decay and the posts, including those of the pergola are tannelised. The client was very pleased with the result which was designed and built to his specifications.